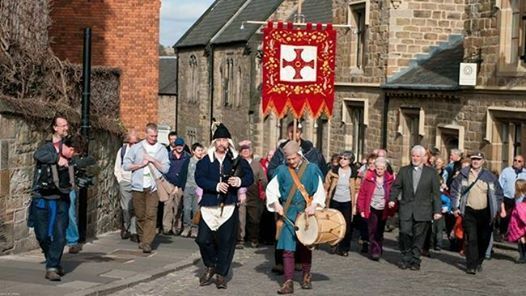 The Northumbrian Association holds its annual walk from Chester-le-Street to Durham Cathedral in honour of St Cuthbert. The walk is symbolic of the arrival of the body and relics of St Cuthbert in Durham in 995AD, and the formation of the Anglo-Saxon White Church, the precusor of today's great Norman Cathedral. 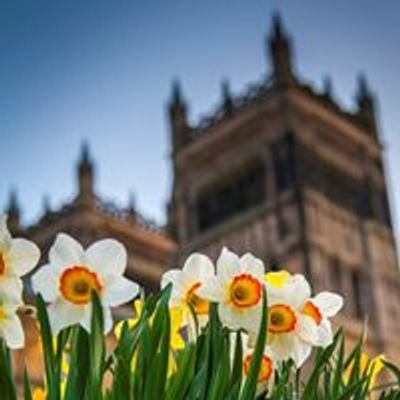 The Northumbrian Association walkers will set off from St Mary's and St Cuthbert's Church in Chester-le-Street at 9.30am, and walk via Finchale Priory, where they will be joined by the Durham Friends of the Camino for the remainder of the walk to Durham. All the walkers will arrive at the Cathedral via Durham's Market Place. 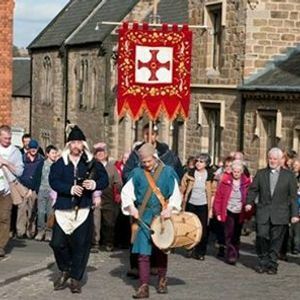 The St Cuthbert Banner will be carried in procession from the Market Place to the Cathedral to be welcomed at 2.10pm for a procession and prayers in the Shrine of St Cuthbert.